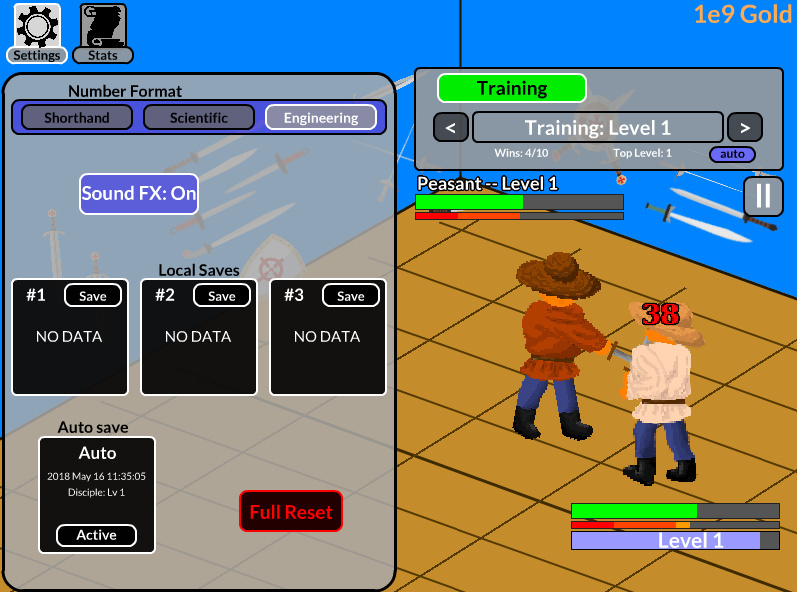 Idle Fighter Clicker Management Click to find more games like this. Are you ready for a fight? 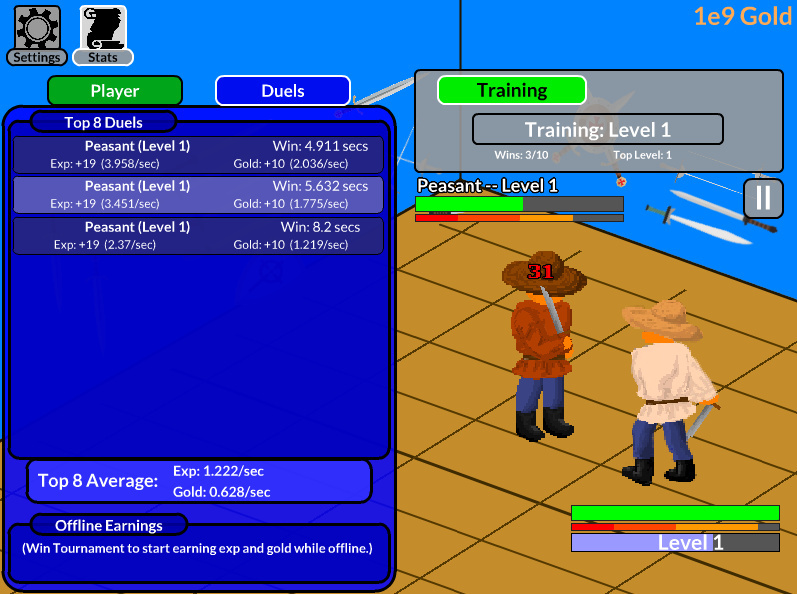 In this original Idle game, your goal will be to defeat many opponents in order to earn money and to get skill poins.